Australian Prime Minister Scott Morrison Wednesday announced the reopening of a controversial offshore migrant detention center on Christmas Island, doubling down on hardline policies after a historic legislative defeat. Morrison approved the reopening of the remote facility — closed just months ago — claiming new laws just passed by parliament would increase the number of people trying to arrive in Australia illegally. On Tuesday and Wednesday parliament rebuffed government warnings and adopted legislation opening the door for some of the 1,000 refugees detained in existing offshore centers on Nauru and Papua New Guinea’s Manus Island to travel to Australia for medical treatment if the transfers are requested by two or more doctors. Morrison brushed aside suggestions that the law would only apply to those already in detention and accused the opposition of a bid to “weaken and compromise our borders”. His government, he said, was adopting “100 percent” of a series of recommendations from the country’s security services to further tighten efforts to prevent the arrival of migrants and asylum-seekers by sea. He declined to specify what those classified measures were, other than to announce the reopening of the camp on Christmas Island, a remote Australian territory some 2,300 kilometers (1,400 miles) northwest of the western city of Perth. His decision comes as both parties gear up for a bitter campaign ahead of a general election due in May and amid fierce debate over the conservative government’s harsh immigration policies. Those policies have seen thousands of asylum-seekers languish for years on Manus and Nauru under conditions widely condemned by the United Nations and human rights organization. A dozen refugees have already died in the Manus and Nauru camps and a number have attempted suicide, including children. “Ensuring access to adequate medical care for refugees and asylum-seekers is a life-saving, humanitarian act,” said Louise Aubin, the representative of the United Nations High Commissioner for Refugees in Canberra. The opposition Labor party responded furiously to what it called Morrison’s “scare tactics” and said he was manufacturing a fear of migrants to win votes. “The only person who wants boats to come is the Prime Minister Scott Morrison,” said Sarah Hanson-Young, a senator for the Greens party, which backed the medical evacuation bill. “He’s desperate for one to arrive,” she said, describing his behaviour as “pathetic, cruel and dangerous”. Labor’s shadow solicitor general Mark Dreyfus accused Morrison of encouraging “people smugglers to re-start their evil trade,” declaring him “not fit to be PM of this country”. In the wake of the parliamentary setback, Morrison refused calls to step down or call an early election, insisting that Australians would have time to make their choice in May. His Liberal party is keen to deliver a surplus budget before the election to underpin its claim to be the best custodians of Australia’s finances. Opinion polls consistently show the Labor Party easily taking control of government in the election. 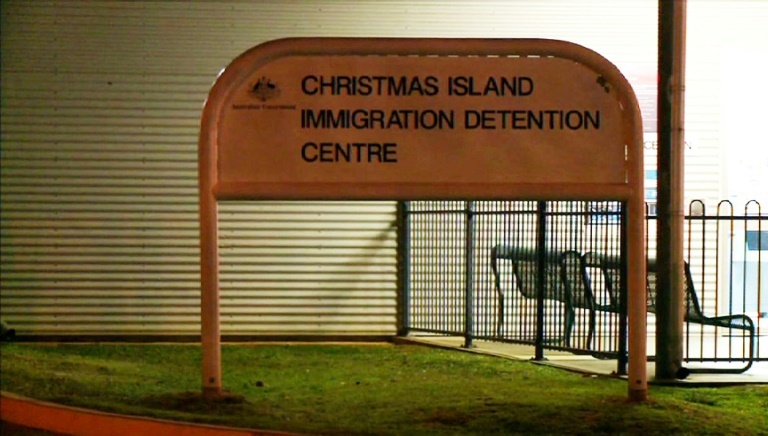 The facility on Christmas Island, which sits in the Indian Ocean to the south of the Indonesian island of Java, once held thousands of people and was the scene of violent protests by detainees complaining of harsh conditions. The last 35 detainees were taken off the island last October, when the camp was shuttered.